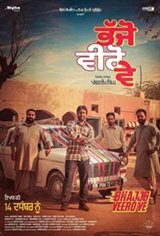 For a group of bachelors in rural Punjab, finding a suitable life partner seems to be an almost impossible task. When one of them meets the girl of his dreams, he is turned down by her relatives, who are not too keen to marry her off to a guy with no family of his own. It is now up to him to find his long-lost kins and more importantly, win everybody's approval to marry his sweetheart.